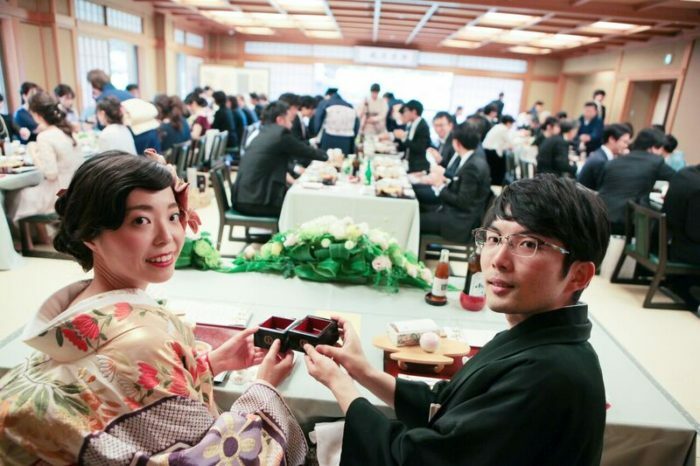 The groom-to-be was born in Oita prefecture and the bride-to-be was born in Chiba prefecture. 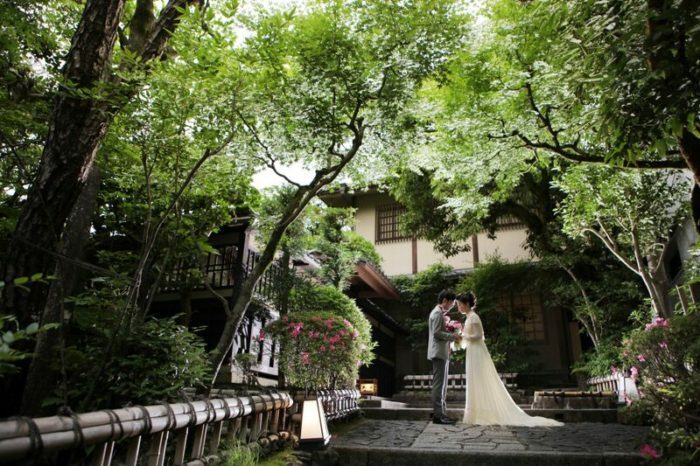 the couple chose Shinto style wedding ceremony that could be conducted within the same building of the ryoutei restaurant where they had a wedding reception. Because guests could feel real Kyoto atmosphere and it also saved them the trouble of moving around in Kyoto. 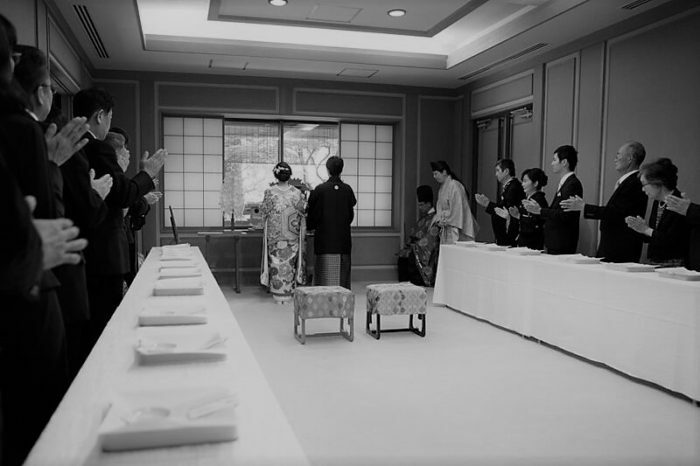 The tune of GAGAKU (imperial court music) brought the solemn air into the ryoutei restaurant. They wanted to produce their wedding reception by themselves as much as possible. The wedding reception was great success with full of their original contents. The balance between the coziness and the formalities was perfect. Both wedding costumes, in Japanese kimono and in the dress & suits, looked so nice and I wanted to watch them for hours. Mr. and Mrs. A, congratulations! !